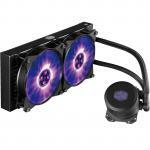 "Does exactly what it's meant to do: keep your CPU cool, quietly. It's great, hardly audible at all, and keep the temperatures reasonably low, even under load. It's worth noting that there are air..."
"Can you hear it? Not really! I only hear it when I first power up the PC with a few bubbles like the water is starting to flow through the pipes and then its super quiet after that. 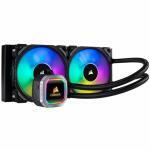 I don't even..."
The Corsair Hydro H55 is a premium water cooling block for your CPU. The package includes everything you need to install your own watercooled CPU loop including brackets for both Intel and AMD CPUs which makes it easy for everyone to install! 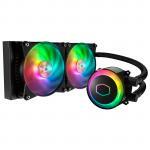 It features a single 120mm fan which makes it compatible with almost any case! 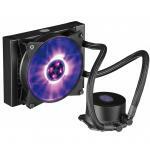 The cooling won't be the best on the market, but it is providing liquid cooling for your CPU which will still outperform most air coolers on the market. 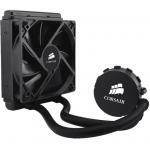 If you are after a quiet aftermarket CPU cooler, the Corsair H55 would be a perfect fit. 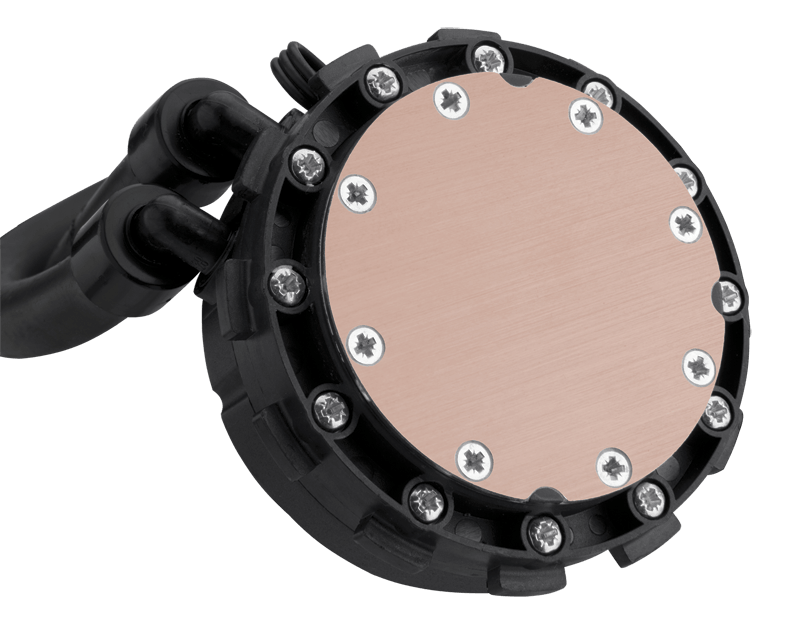 Your PC will run cooler and quieter when you replace your CPU's standard heatsink with a Hydro Series H55. The compact components and flexible tubing make Hydro Series H55 easy to install even if you're cramped for space. 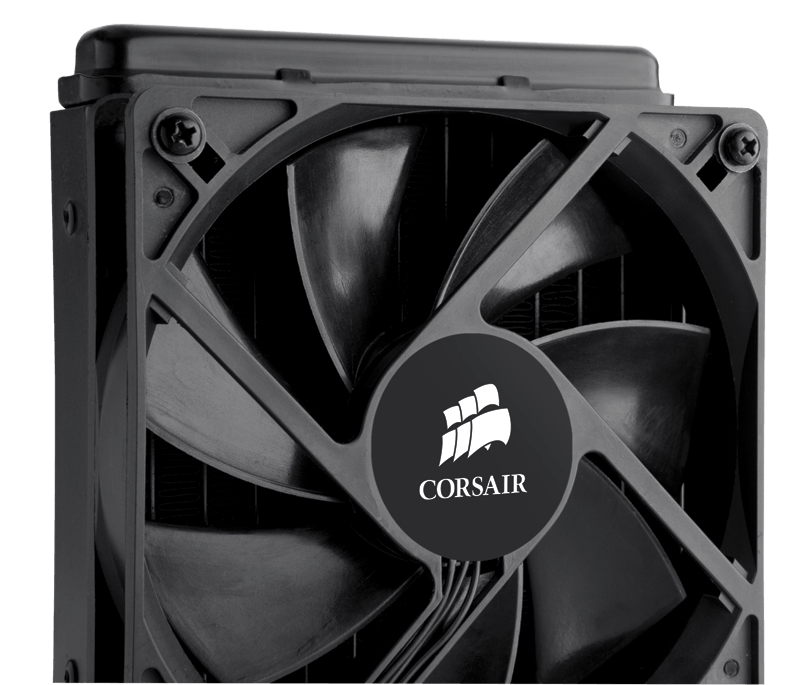 It allows you to improve your CPU's cooling efficiency even in most compact cases - as long as your case has a 120mm fan mount near the CPU, H55 will probably fit. How much would it cost if want this installed in your store? Hi, will this fit an AMD am4+ ryzen 1700 cpu and a asus b350 motherboard or does it at least come with an upgrade kit? compatibility would really come down to the socket type. This won't be compatible out of the box, would have to get a AM4 bracket so that the CPU and motherboard would be installed. the Ryzen 1700 would already come with a cooler. Does exactly what it's meant to do: keep your CPU cool, quietly. It's great, hardly audible at all, and keep the temperatures reasonably low, even under load. It's worth noting that there are air cooler that will do a better job for less money if the temperature if your main concern - otherwise, I'd recommend this.Does exactly what it's meant to do: keep your CPU cool, quietly. It's great, hardly audible at all, and keep the temperatures reasonably low, even under load. It's worth noting that there are air cooler that will do a better job for less money if the temperature if your main concern - otherwise, I'd recommend this. Can you hear it? Not really! I only hear it when I first power up the PC with a few bubbles like the water is starting to flow through the pipes and then its super quiet after that. I don't even notice its working until I realise I've been gaming for 3 solid hours on COD BO4 and the temp is steady as a rock.Can you hear it? Not really! I only hear it when I first power up the PC with a few bubbles like the water is starting to flow through the pipes and then its super quiet after that. I don't even notice its working until I realise I've been gaming for 3 solid hours on COD BO4 and the temp is steady as a rock. 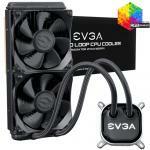 Works great for cooling my Overheating R9 290.Works great for cooling my Overheating R9 290.